Jack Swigert of the Week: PARTY TIME AT MY HOUSE!!! 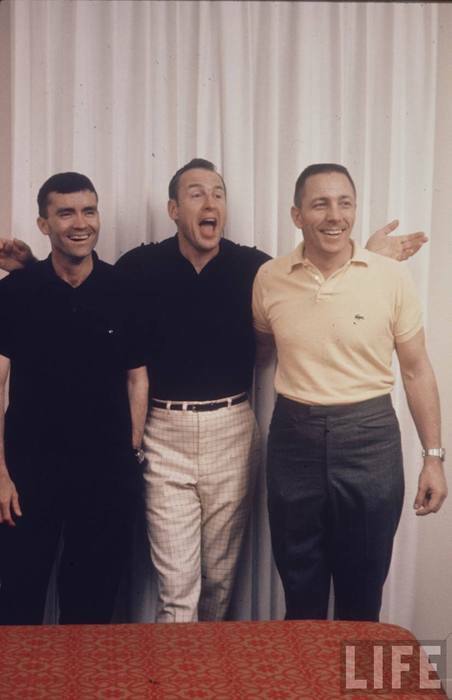 The photo is courtesy of a Life Magazine shoot apparently done in Jack’s bachelor pad after Apollo 13 ambled its way back to Earth. There is one photo from this series of Jack holding what looks like a highball glass lounging in a fur recliner (YES HE OWNED ONE. WHY DO YOU ACT SO SURPRISED? HE HAD A LOT OF LAYDEEZ). I have been valiantly trying to hunt it down for ages. It pretty much says everything.